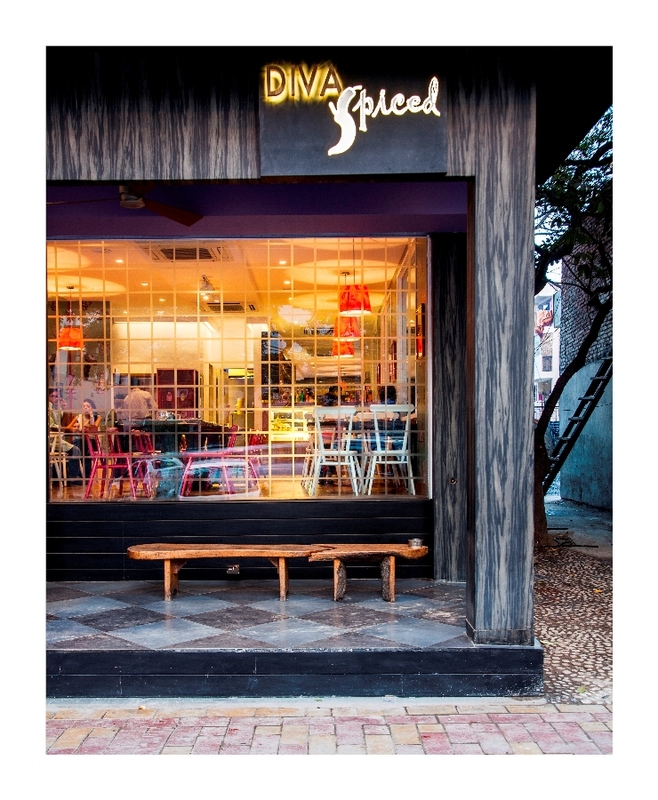 Diva Spiced is a new cute little all day dining café on Lodhi road in Delhi that serves modern Asian cuisine. 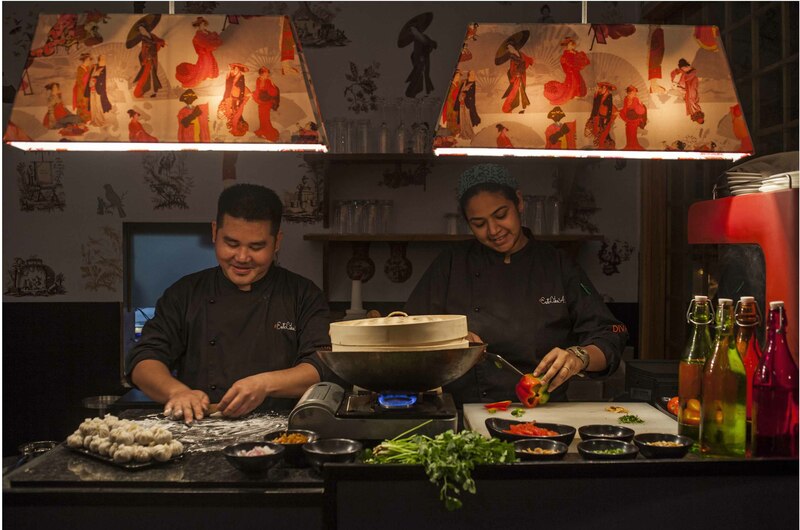 It is a part of the Diva chain of restaurants by celebrity chef, Ritu Dalmia. 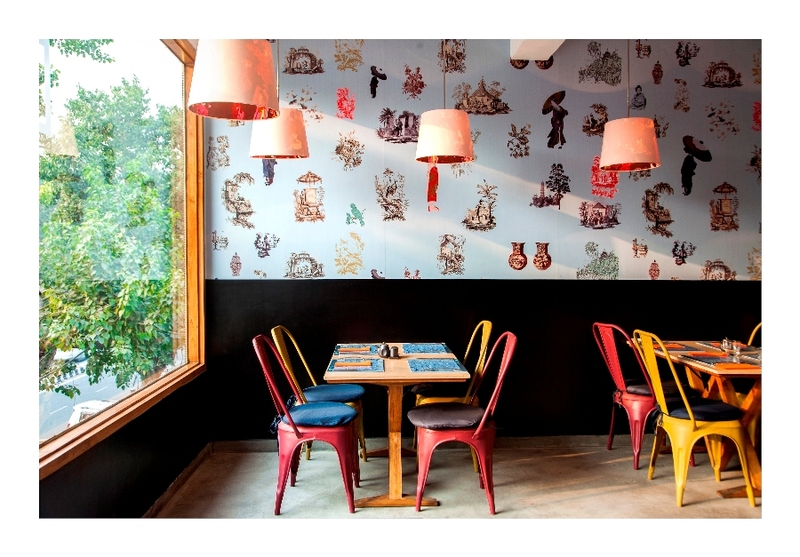 Designed by Delhi based designer Anita Dalmia, the café has been designed in a Asian vintage meets contemporary theme. Amita Dalmia has kept it simple and carried the theme through the restaurant by adding just a few elements. At the entrance a rustic wooden archway and a wooden bench welcome you. 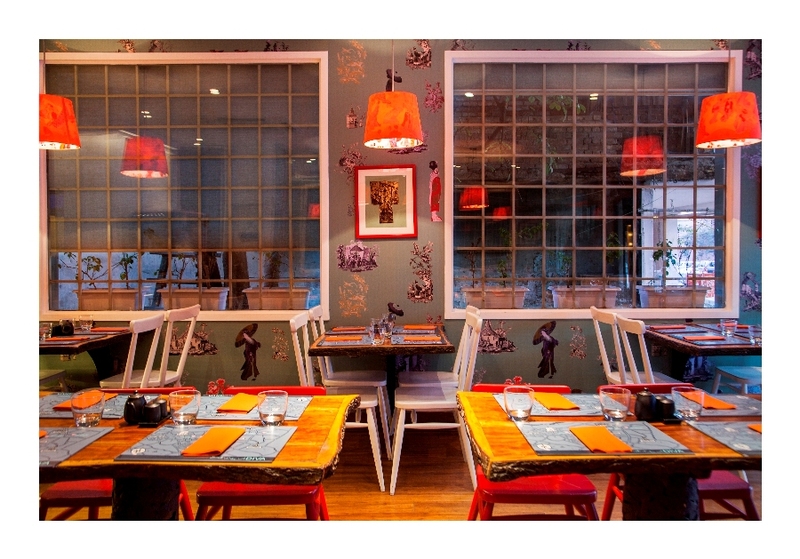 As you continue inside colorful classic Tolix chairs with comfy chair cushions and simple raw wooden tables greet you. The walls are adorned with wallpaper that has ancient Asian symbols such as an Asian lady wearing a kimono, cherry blossom trees, urns, and other Asian motifs. I absolute love how the wallpaper ties the whole restaurant together and brings it to life. Its very interesting how the lamps above the table are the patented Chinese red colour with an inner lining of fabric that has the same Asian prints on it. While the lamps that light up the live cooking counter have the prints on the outside. Anita Dalmia has managed to achieve the perfect balance with all the different motifs that come together as a melodious symphony. Simply tying all aspects beautifully.